The husband to our stitcher of this piece served in the military. 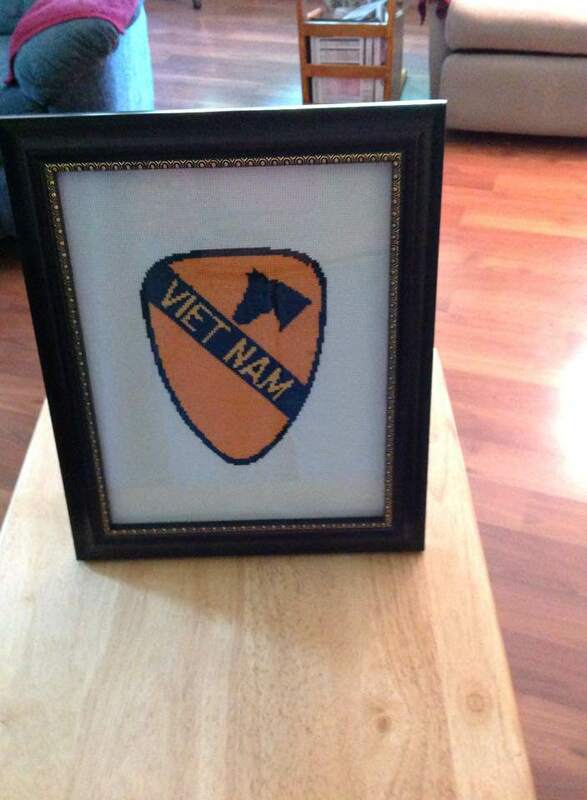 He has an upcoming reunion with his unit from back then and so the stitcher whom this was made is stitching one for all of these service men. Isnt’ that amazing…. The chart turned out great, but it’s her stitching that makes it brilliant.